BERKELEY, Calif. /California Newswire/ — UAW 5810, the union representing more than 6,000 postdoctoral scholars at the University of California, has launched a new online push for action urging UC to stop dragging its feet and reimburse many newly-immigrated postdocs for health care benefits it is contractually obligated to provide. The ads, which are linked to a change.org petition, can be seen here. While UC is contractually bound to offer UC-sponsored health care plans to members of UAW 5810, there have been a number of cases of members being told they did not qualify for these plans. Some of these individuals were forced to purchase far more expensive plans on the individual market while others have racked up thousands in medical bills and costs that should have been covered by UC. 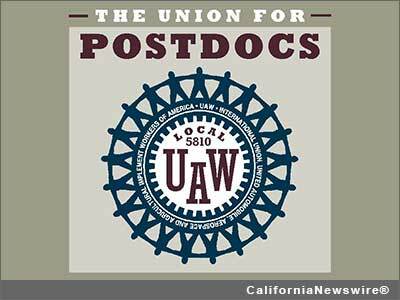 The UC has since capitulated and allowed all postdocs to purchase the lower-cost plan – but refuses to reimburse those who unnecessarily paid thousands out of pocket. UAW 5810 has attempted to work with UC to resolve this issue. Unfortunately, UC has twice cancelled meetings to reach an agreement. Media contact: Contact: Neal Sweeney, (831) 334-3367.